We believe that it’s important to provide a “place” for entrepreneurs and supporters to mingle with a view to support entrepreneurs and improve startup companies. We hold seminars and social gatherings that entrepreneurs and supporters can meet and exchange opinions and information with each other. VEC supporting members get a special discount on the entrance fee. 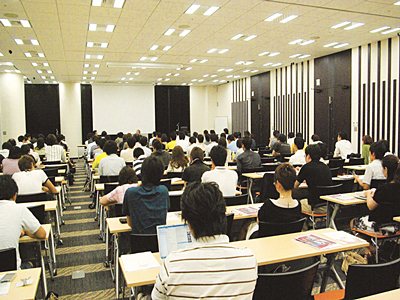 We hold seminars and social gatherings for startups and venture capital firms once or twice a month. ●Free advice from lawyers, accountants, licensed tax accountants, consultants etc. We managed the entrepreneur support project “DREAMGATE” from April 2003 to 2006. We sponsor “Adviser Service” that has the biggest public interest and outsource management to a private company since April 2007. Project Nippon Co., Ltd took over other services of this project. 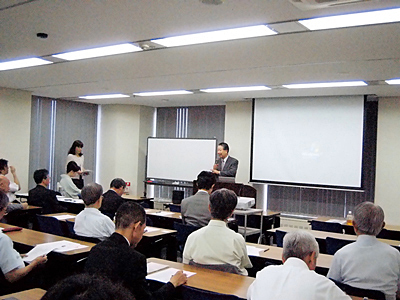 We co-hosted Business Plan Contest with MIT Enterprise Forum Japan from 2008 to 2010 (We co-sponsored it since 2011).